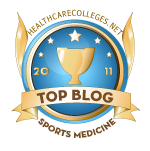 Natural Sports Medicine Blog: Back Pain - Car Accident & A Hidden Fracture Herniation; Could An Acute Traumatic Schmorl's Node Be At Fault? 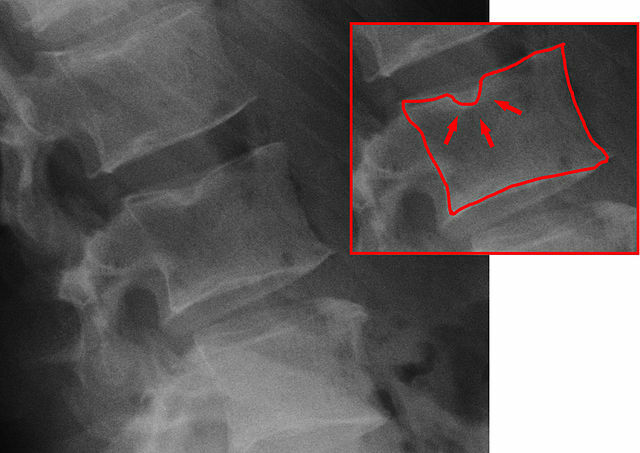 Back Pain - Car Accident & A Hidden Fracture Herniation; Could An Acute Traumatic Schmorl's Node Be At Fault? Never heard of a Schmorl's node? Then this may be of interest to you. Think a Schmorl's node is a normal variant see on x-ray or MRI? Then this may be of interest to you too. Yep, it’s happened again. Putting a doctor’s name on some condition and making it sound totally benign! It’s too bad, but more and more research is proving my theory true. About 8 years ago, I had a patient who kept on returning with complaints of lower back pain, yet nothing positive on the lumbar MRI. It puzzled me and then I re-read the MRI report and that’s when it hit me. Schmorl’s nodes!!! Often times in life we get so use to calling things by the casual names we assign them, forgetting what they really are. For example, a soldier will talk about “Collateral Damage” when they actually mean they've killed an innocent civilian or they've blown up the wrong building. The term “co-lateral damage” sounds much less severe than what had actually taken place. Unfortunately, collateral damage happens. In the world of medicine, doctors and scientists often assign their own names to discoveries they make. This has been a common practice for over one-hundred years. Some nice doctors will honor their patient by naming a newly discovered disease or condition after the patient who presented with the disease. These names tend to make the diseases, conditions and tests more palatable for the general public. And for good reason., some of the actual medical/scientific names are so long that they are just too difficult for many to comprehend. So we give them simple benign names. Hence the term “Schmorl’s Nodes”. Classically, radiologists and clinical physicians shrugged off Schmorl’s nodes as an incidental finding having nothing to do with acute trauma. However, the more and more I read, the more I find out that these "incidental findings" were actually caused by prior traumatic events and were (again) shrugged off because doctors succumbed to convention and didn't think outside the box. Simply put, a Schmorl’s Node is a disc that has herniated up through the bony vertebral endplate and into the body of the vertebrae. It is a herniation that fractured through the bottom or top of the vertebrae. Even more simple, it’s a fracture-herniation! So now it’s out in the open. There has been enough research to prove it and from more recent casual browsing of on-line research reports, there's more support since the 2000 publication of the reference above. 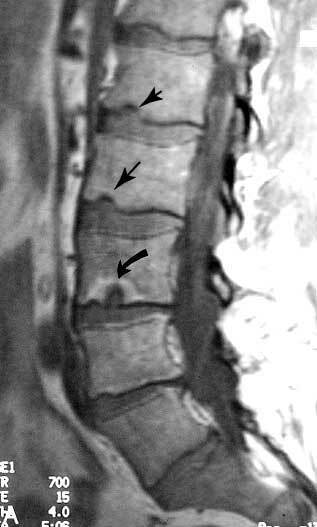 The next time a physician says the MRI or X-ray report is negative, the patient is still in pain and there was an acute trauma as the cause for the patient's pain...go back and read that radiology report again and see if there are any Schmorl's nodes. Ruling out the other causes of a Schmorl's node could leave the not-so-obvious fracture-herniation as the only diagnosis left standing. 4) Wagner AL, Murtagh FR, Arrington JA, Stallworth D, American Journal of Neuroradiology Feb;21(2):276-81; Relationship of Schmorl's nodes to vertebral body endplate fractures and acute endplate disk extrusions. Good read. Thank you for this brilliant article Dr. Todd. I am Benedict from Malaysia, I would like to know on whether are there any treatments available as reparations on the affected vertebrae? I am at the moment suffering a slight posterior disc prolapse on my L4-L5 disc; in addition, my sports doctor gave a read on my MRI and he found out that my L2,L3,and L4 vertebraes has a minor schmorl's nodes on the bottom part of the endplates. All these were caused by the sports that I was performing-weightlifting. He said that my sciatica is caused by the posterior prolapse and by the schmorl's nodes; hence, why I could feel almost my entire quadriceps and calves feeling a pretty bad radiculopathy of "Pins and needles". I am pretty desperate at the moment, though it has been almost 6 weeks of suffering, I feel that this pain has lasted for ages. Moreover, I just really depress like never before. Nonetheless, thank for reading my comment, and I look forward to your reply. My name is Rebekah. I was in a rear end collision in Burlington, MA in September of 2014. I have been suffering since and have seen 13 different specialists in an effort to reduce my pain. My spine surgeon in MA said a disc "blew a hole" in my L3 in the accident. He showed me white around the hole in the first MRI. He prescribed a brace and no exercise activity (I had been running, biking, and doing trx almost daily but stopped right after the accident when I really felt the full extent of the accident. )and a follow up with him two and a half to three months later. Pain was the same, brace had caused more pain so I only wore it a short while but the dr. assured me it would not hurt to not wear the brace, that the injury should heal itself over time. I went back and had another MRI which still showed the white around the hole...the Dr. said everyone heals differently and set me up for pain management. My family had been planning to move from MA to SC for years and so I had to leave those Drs. and start over down here...since moving to SC I have dealt with 8 different specialists and had epidural injections, PT, nerve block injections, trigger point injections, massage therapy and nothing has changed. Then I saw this article. I have seen two orthopedic surgeons and they just will not even entertain the thought that it could be the L3 injury. One just told me to do nothing and live the rest of my life on pain meds the other wants dry needling, better pain management and when I am ready to literally kill myself, I should investigate a spinal cord stimulator implant. I will come to you if you think there is any chance you could help or at least look at all the MRI's (I've had 6 I think) and confirm that there is, in fact, nothing I can do but live with pain indefinitely. 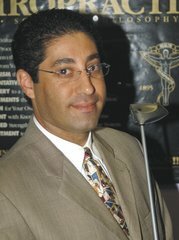 Go to my web site www.DrNarson.com and give me your email address. I will sent you an email through a secure server so we can chat.